linkel designs is a mom & daughter duo that makes vintage & nature inspired jewelry and sells on the world wide etsy. ((ha. see what i did there?)) not only that, but they are also an awesome yellow songbird sponsor & i have loved working with kelly. 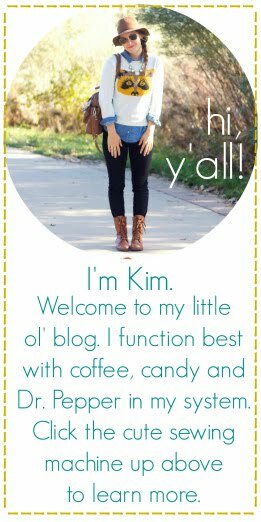 her blog is the pretty bee if you'd like to check it out! it's full of fun crafts, DIY projects, etsy finds, ((gluten free)) recipes, and photography eye candy. ok, back to the jewelry. in the linkel designs shop, you will, without a doubt, find something that is perfect for you. i am constantly impressed with their selection. here are a few of my favorites! the best part? 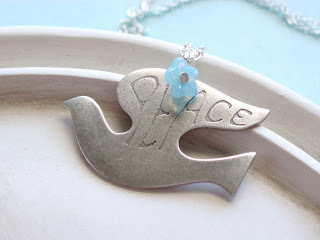 kelly is giving away this peace dove necklace! this necklace is too sweet. this is a thank you celebration for all you sweet readers!! in order to enter, you MUST be a follower of my blog. if you're not already a follower, it's not too late to join the party! scroll down & click "follow" over on the left and enter all the fun giveaways! 1. head on over to linkel designs & leave a comment with your favorite item from the shop. "@ohsweetjoy is having a Blogiversary Party! Go enter all of the FUN GIVEAWAYS! www.yellowsongbird.blogspot.com"
"go enter all of the fun giveaways on the Yellow Songbird Blog! www.yellowsongbird.blogspot.com"
come back & leave a comment telling me you facebooked it. 2 entries. boom! i hope you win! :) make sure you check out & enter all the other giveaways! "The Giving Tree" was one of my favorite books as a child. Now I can have it as a necklace??? Sweet nectar of the gods! i love all of the rings! how do i choose just one?! OH MAN!!! Too many to choose from!! The Tiny Whale, The Giving Tree, The Library Girl Locket (I'm an English Major so that draws me) All of these things are too cute! I might just have to buy some anyways! My favorite is the Enchanted Evening Earrings. love the little autumn tree necklace, so many cute items! 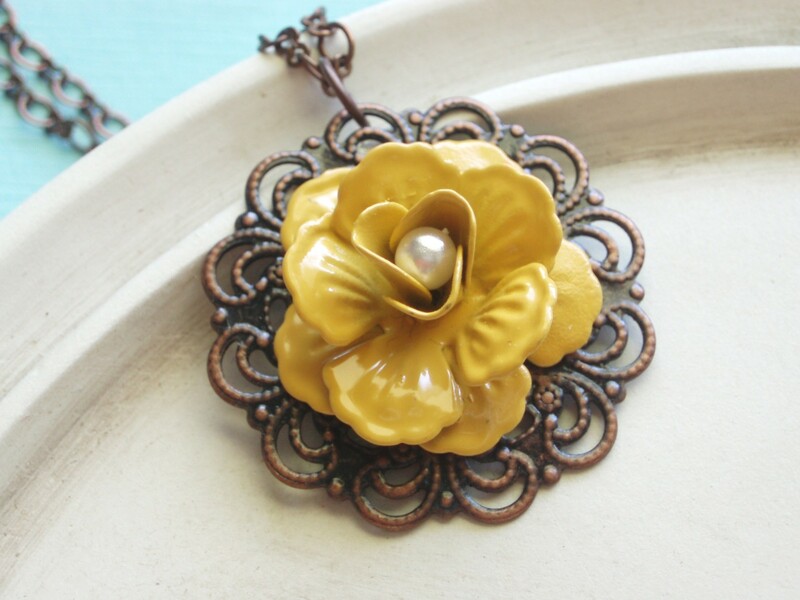 I love the Golden Morning Glory necklace! It's beautiful!! SO CUTE! 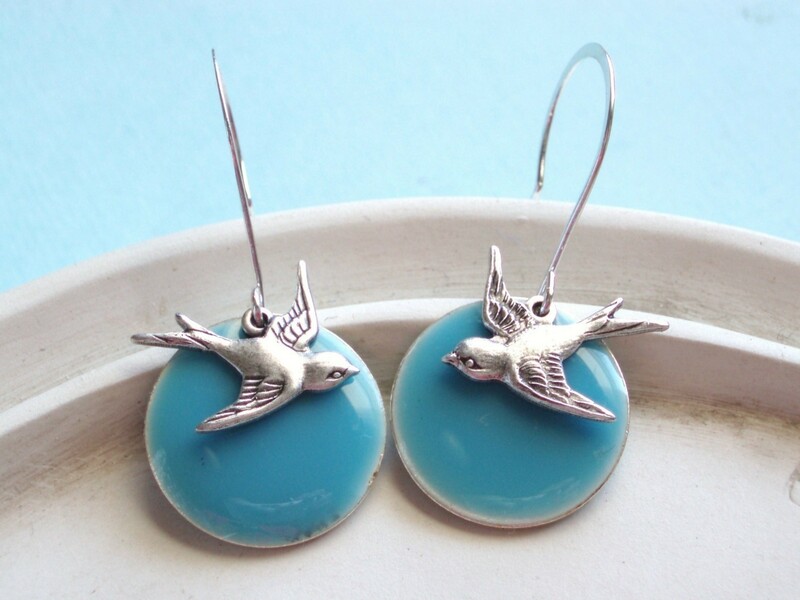 I love the Bye Bye Birdie earings. Also, I tweeted about this give away. i love the splash whale necklace! So cute! cheerful songbird necklace is so pretty! my favorite! I like the Little Mod earrings. so many pretties to choose from! i love the silver peace dove necklace! fuschia czech glass flower earrings. very dainty. Agh!!!! I think I will order the pumpkin leaf earrings and the bye bye birdie earrings. So beautiful! love love love the golden morning glory necklace! oh my god, there's so many lovely pieces in this shop. I love all the flower jewelry, but the blue boom vintage post earrings is my favourite. I love the whale necklace! The "little green hoot" necklace is so cute! I absolutely love these pair of earrings! I have definitely visited this shop before! Love the Lilac Bloom Vintage Locket Necklace. So pretty! i love the giving tree necklace! Everything is really beautiful though. I love all of her bird items!! I hope I win!! I love the silver daisy earrings. Linkel is one of my favorite Etsy shops. I even own a few pieces that I wear all the time :) I'm loving the "Golden Morning Glory" necklace and the "Pumpkin Patch" necklace right now! i love the mustard flower necklace! She has some great stuff! The Little Toadstool earring are great. the silver songbird necklace is my favorite! Wow! She has great things! I really like the bye bye birdie earrings! The pretty blossom necklace is my fave! the little tree autumn necklace. it's just perfect. The giving tree necklace is one of the most wonderful necklaces that I've seen in a long time! WOW! I LOVE the Little Tree Autumn necklace! I added her shop to my favorites, because I know I'll be back! Splash- Tiny happy whale! SO cute! It is extremely difficult to pick a favorite! I LOVE the rustic leaf necklace..and I LOVE the bye bye birdie earrings...and so much more! Oh! I love that "Giving Tree" necklace! Perfection! I lover her Petite Bloom Earrings in Frost! I really like Golden Morning Glory Necklace and the secret garden ring. I love the Tiny Happy Whale Necklace! LOVE the gold flower necklace you have pictured! so cute. I loooooooove the pretty blossom necklace! Gorgeous. tweeted. hahaha are you getting sick of these comments yet?? I like "The Giving Tree" necklace! i love the sunset earrings! so many beautiful pieces to choose from! cant pick just one!! Ack! The What a Hoot necklace is adorable!!! Love! oh. my. goodness! sooo many cute things. 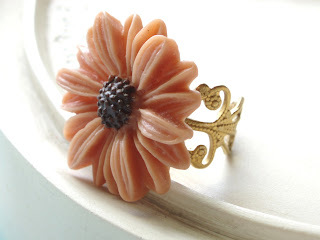 i really like the coral bloom ring. OMG! The shop is amazing! & now I have a new place to shop at!! YAY!! In all honesty - I'd chose the necklace that's being given away - I'm all about Peace! The botanical bloom ring is stunning! The Giving Tree necklace. Lovely. And her rings? I I love the colors. So pretty. Love the Little Tree - Autumn Necklace! I follow! love that necklace! I love her bloom rings--tangerine is probably my fav! the vintage tulip earrings are my faves!! My faves: Seasons - Mod Fall Flower Necklace, Beyond the Sea Necklace & her Candy Shop Earrings! my favorite is the botanica necklace! Gosh, so much to choose from! I love the What a Hoot Necklace, or the flower blossoming locket! oh, sweet joy + wedding = love. just a quick photo...or two.